Superga There are 31 products. The brand Superga born in 1911 has become a cult of current fashion, the colored sneakers are always the shoes more sold brand the latest Spring-summer collections of shoes play with colors, special fantasies for example navy, black, white, grey, very innovative and versatile on any item of clothing! 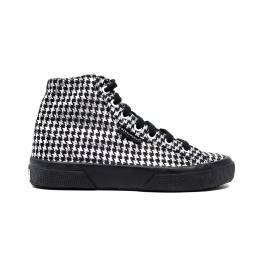 With these Sneaker, trendy and innovative can not miss the walk through the streets of the city! In fact the new collections of sports shoes for women and men and sandals sea are indispensable for girls who enjoy long walks. The women shoes Superga, casual and trendy but always classy!! They are perfect to be worn throughout the day, at home, at school, in and around the city, because shoes Superga keep your foot comfortable until evening, thanks to the excellent craftsmanship and the use of natural materials breathable, are available from a wide range of colors that allow you to combine each outfit a different shoe. The Sneaker Superga find on Young Shoes that offers free shipping in 24/48 hours! Fashion more fashion,even if simple in their own style, is handed down from many generations. When I was small with my mania to buy shoes are never lost a couple of Sneakers Superga.They returned from a lot of years with a range of new models. The brand Superga is still today, as I have said before, is a cult of fashion. The womens and mens shoes Superga are perfect to wear all day,the materials are natural breathable and keep the foot always dry and comfortable. I use often and for someone like me who is Mother and is always running,has need shoes practices but also fashion and glamour. This spring Superga offers us a rich collection of colors, special fantasies,innovative and suitable for all items of clothing, so be ready for all occasions.For example to spend an afternoon with friends where they can not miss any type of shoes, comfortable, to match with a couple of leggings with a fur coat and then not to forego a youthful look, elegant and casual. Finally to define the look can not miss the bags and accessories,that the woman is an unfailing accessory. 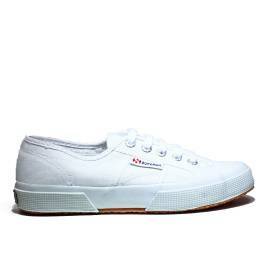 All our needs of the moment we can meet conveniently from home, if you are looking for superga shoes online for men and women visit Young Shoes Salerno that offers us a rich collection of shoes and accessories of different type to which you will not know to say no. In fact here you will find shoes for all tastes: polacchine pizzo online, sandals woman, beautiful and original spotted, shoes Superga with wedge internal or external, or orange colored to match many vibrant look or still with fur for the winter!